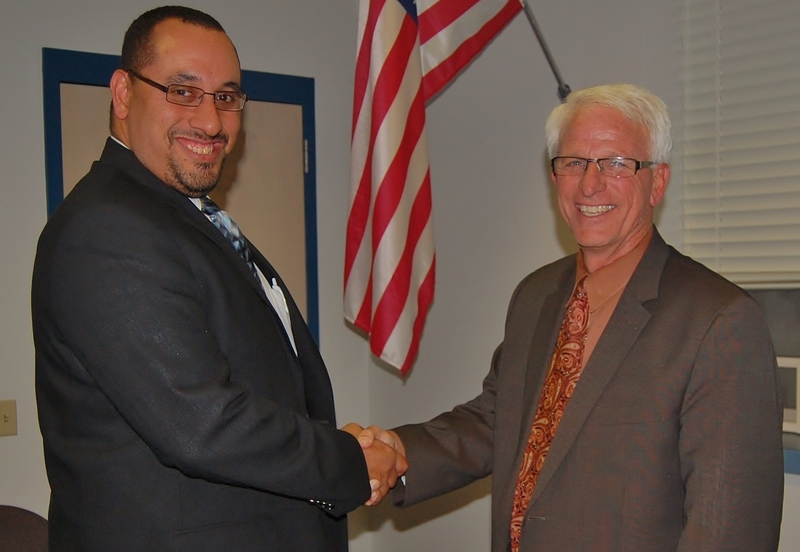 Penn Manor has a new school board member — Joseph Fullerton. The board Monday appointed Fullerton to replace Amber Green, who stepped down last month to pursue a seat on the Manor Township board of supervisors. A Holtwood resident, Fullerton is director of curriculum for Lancaster County Career & Technology Center. He will fill the remainder of Green’s term, which runs until December 2015. School board president Kenneth Long said Fullerton was a standout among the nine candidates who applied for the opening. “He comes to us with a very broad background. Joe has had extensive experience in education as well as municipal government. And he also has community service experience, which is important because our job is very much based on serving the community,” Long said. Fullerton joined the CTC staff in 2011 and is responsible for developing and implementing all secondary and post-secondary curricula. 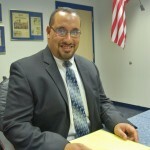 He previously worked 12 years at Lenape Tech career and technical school in Ford City, most recently as dean of students and program development specialist. Fullerton also was a math teacher at Lenape. He has a master’s degree in education from Indiana Wesleyan University. 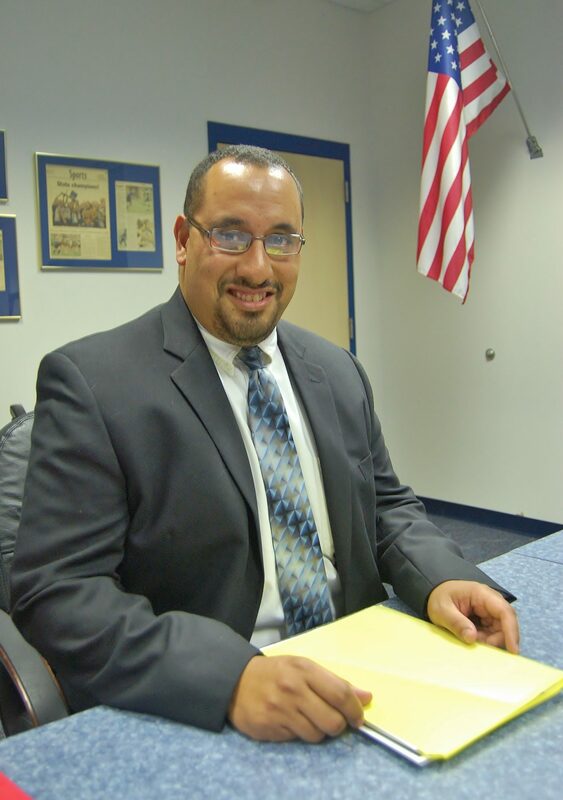 Fullerton’s community service includes serving six years as a councilman in Dayton Borough and holding a variety of coaching and umpiring positions. He also was board president of the Armstrong-Indiana Drug and Alcohol Commission. He lives with his wife, Rebecca, and son, Ethan, who attends Marticville Middle School. An older daughter, Alexis, lives near Pittsburgh. 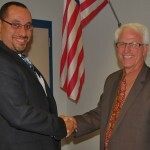 In the photo, Joseph Fullerton, left, is congratulated by school board president Kenneth Long.